If there are no second acts in American lives — so said F. Scott Fitzgerald — symphony orchestra conductors are immune. Nathalie Stutzmann is among the latest to reincarnate: Amid a prestigious, France-centric career as a contralto, she arrived for a return guest-conducting engagement with the Philadelphia Orchestra, having charmed musicians and audiences in Handel’s Messiah in past seasons, but now conducting an all-instrumental Haydn and Beethoven program at the Kimmel Center on Thursday. You might’ve guessed over the years something like this was coming. As a vocal recitalist, she was inclined to give encores playing four-hand piano with her accompanist. The message was clear: There’s more to her than singing. At 53, her voice may have much more mileage, but her Thursday concert (which will be repeated Friday and Saturday) suggested she has more to offer as a conductor — and with repertoire that puts her in the lion’s den. Her program was core stuff — Haydn’s Symphony No. 94 (“Surprise”), Beethoven’s Symphony No. 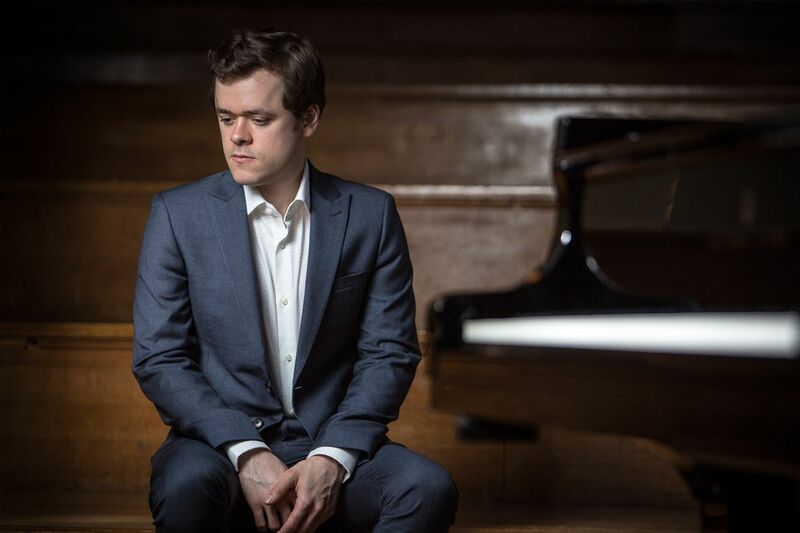 4, and (with guest pianist Benjamin Grosvenor) Beethoven’s Piano Concerto No. 1 — that only occasionally showed she hasn’t been doing this her entire adult life. One of the Haydn movements had an under-confident entrance. In the Beethoven concerto, she attempted to match the pianist’s Olympian approach, though their rapport felt more professional than inspired. In the Beethoven symphony, her conducting personality came into clearer focus. Every passage had its own point of view, dictated by particularly pointed rhythmic activity, an antiphonal effect among instrumental choirs, a string tremolo that harnessed the Philadelphia Orchestra sound with feather-light richness or a countermelody sounding out from the texture that put everything around it into clearer perspective. There's a holistic sensibility. She seems to have examined every element of the music and asked what it has to say. Never was there the kind of interpretive perversity that comes with unearthing something less relevant from the orchestration, highlighted with a sense of "See what I found!" Also, this earthiest and most tightly written of Beethoven symphonies felt operatic. Some of the larger, full-orchestral passages set the scenes, solos had particular character (especially those of bassoonist Daniel Matsukawa), and thematic development had extra theatrical animation. All of this was well suited to Beethoven’s fundamentally combative nature. In the concerto, Grosvenor was curiously cool. Though a leading light in a generation of young pianists known for their interpretive depth (others are Jan Lisiecki, who arrives next week, and Beatrice Rana, who visits in June), Grosvenor didn’t subscribe to the usual playful approach to Beethoven’s Piano Concerto No. 1 but played it as something that looks fiercely into an unprecedented musical future. His sonority was crystalline, consciously lacking warmer timbres and maybe referring to the crispness of the instruments from Beethoven’s own time. Trills were too aggressive to be simply ornamental. Normally jokey dissonances were played to penetrate. The extraordinary concentration he brings to the keyboard was much apparent in the second movement, as he seemed to be brooding — convincingly — over some globally oriented philosophy. The melodic high spirits of the final movement revealed what Grosvenor was up to in the whole concerto: A structure-based approach, with every reiteration coming off like yet another building block in a piece of musical architecture. That’s thoroughly admirable. But likable? Somewhat.